This beautiful avenue of beech trees was planted by the Stuart family in the eighteenth century. It was intended as a compelling landscape feature to impress visitors as they approached the entrance to their home, Gracehill House. 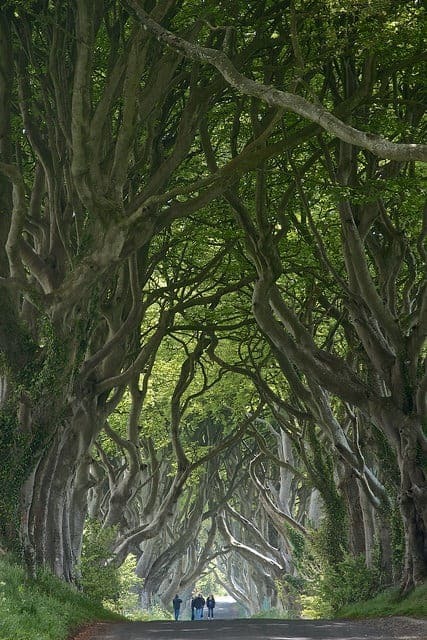 Two centuries later, the trees remain a magnificent sight and have become known as the Dark Hedges. Pia, träd i din smak va? ???? Mmmm, så roligt du kom att tänka på mig när du såg de träden ???? Love the twists n depth….